Welcome to Advanced Roofing Systems Incorporated! We are a locally owned and operated Lakewood roofing company that can help you with roof repair and roof replacement. We have a full list of roofing services and only use the highest quality roofing materials. If you live in Lakewood, Colorado and need a roof repair or roof replacement give us a call. Our integrity and honesty lead to word of mouth referrals as we always put our customers first. At Advanced Roofing Systems, our roofers and technicians are the best in the business. Our customer service is exceptional from start to finish. We would love to have the opportunity to take care of your roofing needs whether you live in Lakewood, Denver, Thornton or the surrounding areas. If you have had some storm damage, are looking to replace your whole roof or just want a consult, give us a call to find out how we can help you. It doesn’t matter if you live in Denver, Lakewood, Thornton, Aurora or surrounding areas. Our expert roofing technicians will drive to you for a free roofing quote or assessment. 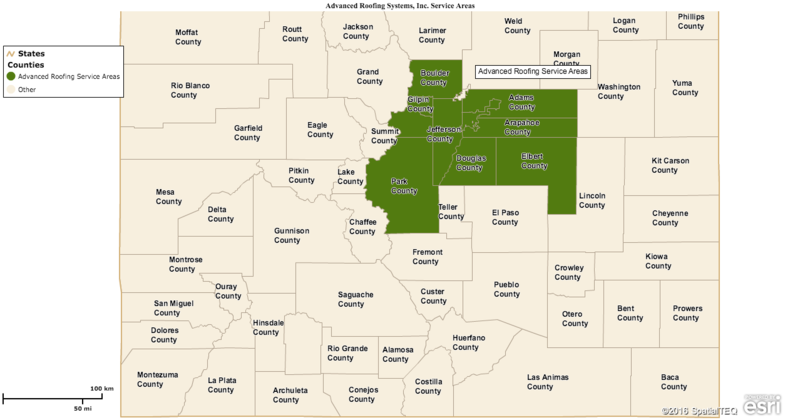 Contact Advanced Roofing Systems Incorporated for service and analysis in Lakewood and all of Colorado. All materials used are made in America as part of the standards of being on Team Dave Logan.